Up to 15% Support Margin Forex Bonus Offer from FortFS to All New and Existing clients For Limited Time Offer. Fort Financial Services announces the start of the new promo-action from 26.10.2015 until 31.12.2018. The Support Margin Bonus can be received during the promo-action period, from 26.10.2015 until 31.12.2018 inclusive. 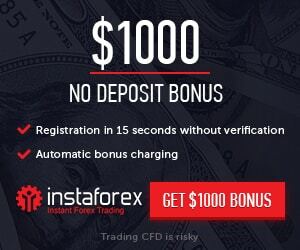 The bonus can be received only for the deposited amount from 25 USD or the equivalent in another currency. Internal transfers are not taken into account.